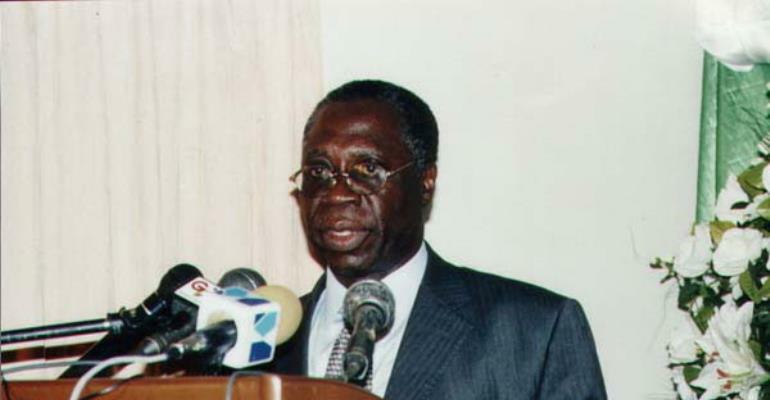 Accra, Feb.4, GNA - Mr Yaw Osafo-Maafo, Minister of Education and Sports on Friday said his main objective for the new Ministry was to ensure that Ghana qualifies to participate in the World Cup in 2006. He said the Ministry would ensure a first class tournament when Ghana hosts CAN 2008. Mr Osafo-Maafo was speaking to newsmen after being sworn into office by President John Agyekum Kufuor at the Castle, Osu. On his vision for Sports development in the country, the Minister said, " that the problems within the sports sector was complicated but with an insight from my predecessor I would need some time to study the problems and see how to tackle them. Mr Osafo-Maafo said the Ministry would only go in for the best coach for the country whether he is a Ghanaian or a foreigner. On sports development, the Minister stressed the need to develop the other sports disciplines through competitions at the school and grassroots levels.